ROBERT DUNCAN, 75, went home to be with His Lord on May 18, 2016. 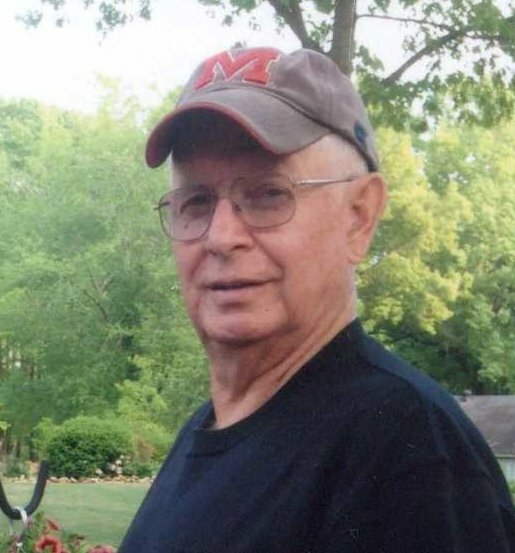 Robert was a simple man who loved life, Ole Miss sports and, in his younger years, coaching pee wee baseball; but most of all Robert loved Jesus and it showed in his every day life. Robert retired from Yellow Freight in 1994 after being a faithful employee for 33 years. Robert was preceded in death by his wife and mother of their children, Betty Jo Duncan; his parents, Leroy and Eura Fay Duncan; and one brother, Charles Duncan. He is survived by his wife of 19 years, Jody Bratton Duncan; daughter, Angie Taylor (Greg); son, Mike Duncan (Donna); daughter, Tina Bratton Duncan (Dennis); granddaughters, Blake and Reagan Duncan; grandsons, Alec, Mitchell and Garrett Duncan; one sister, Peggy Smith (Lemuel); and one brother, Kenneth Duncan (Liz). With Robert Duncan’s passing, there will be a huge void in so many lives but he added a bright light to Heaven when he arrived. Services will be held on Saturday, May 21, 2016 at Hernando Baptist Church, 11 East Center Street, Hernando, MS 38632. Visitation will be from 11 a.m. – 1 p.m. with the service at 1 p.m. Arrangements are in the care of Twin Oaks Funeral Home in Southaven, MS.